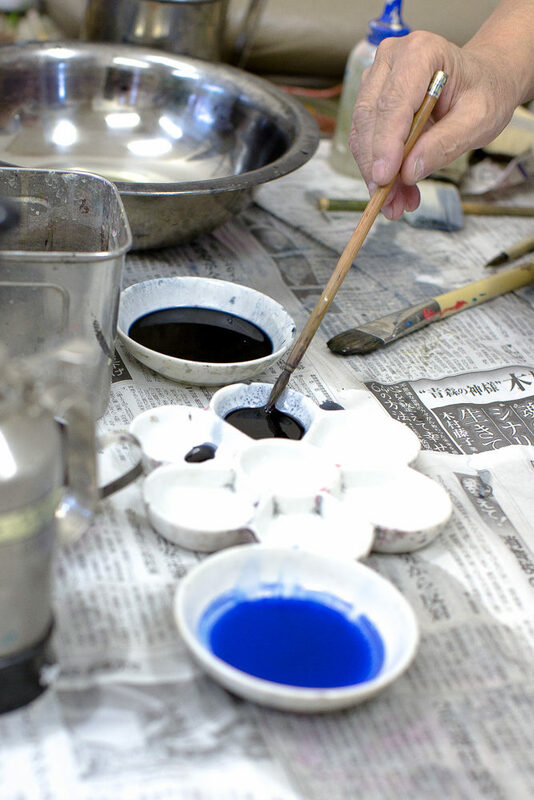 Nuregaki is the peculiar dyeing technique which is dyed while shading. 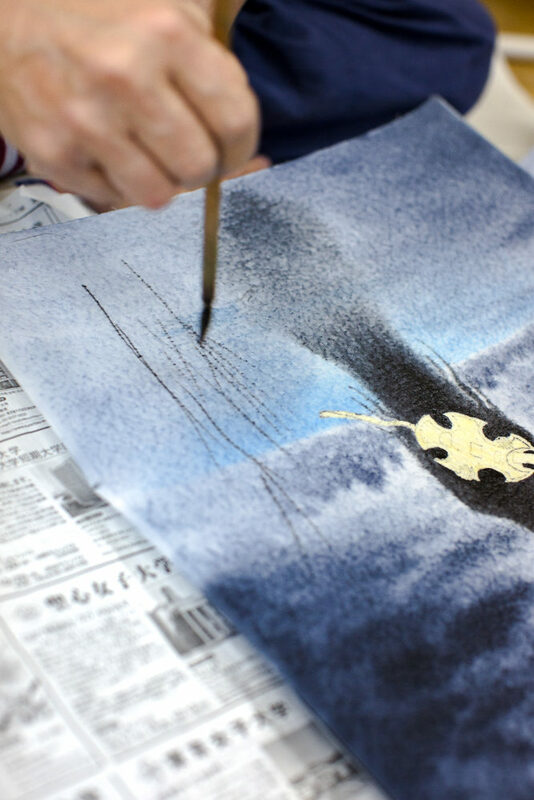 That often agrees with the expression with an atmosphere made vague. 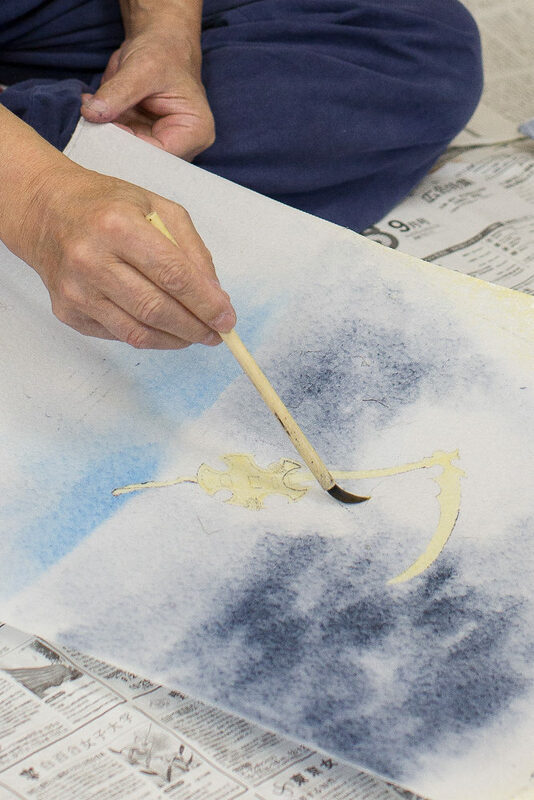 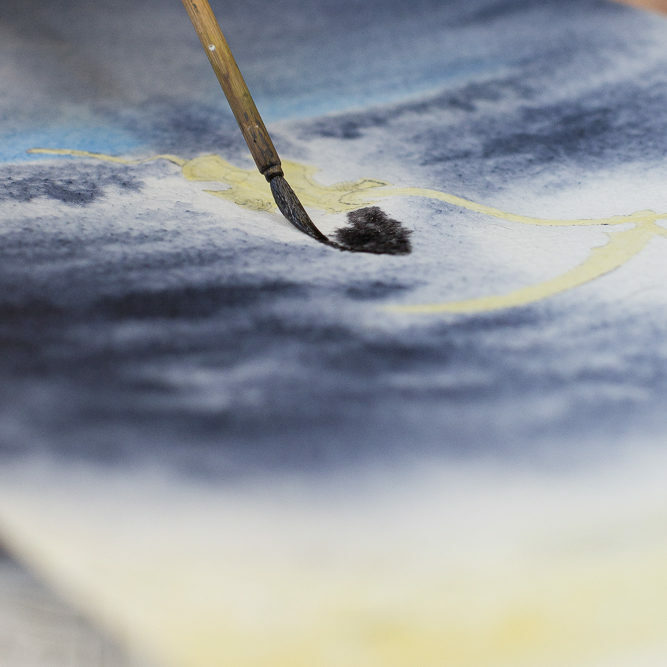 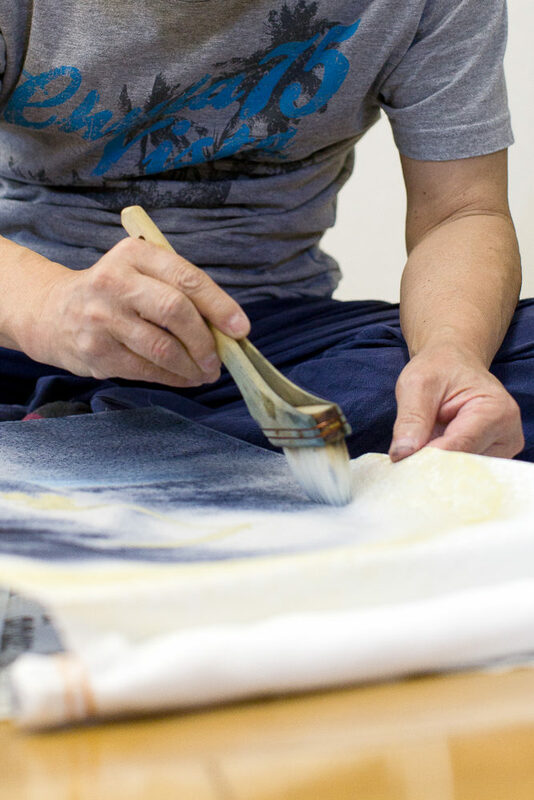 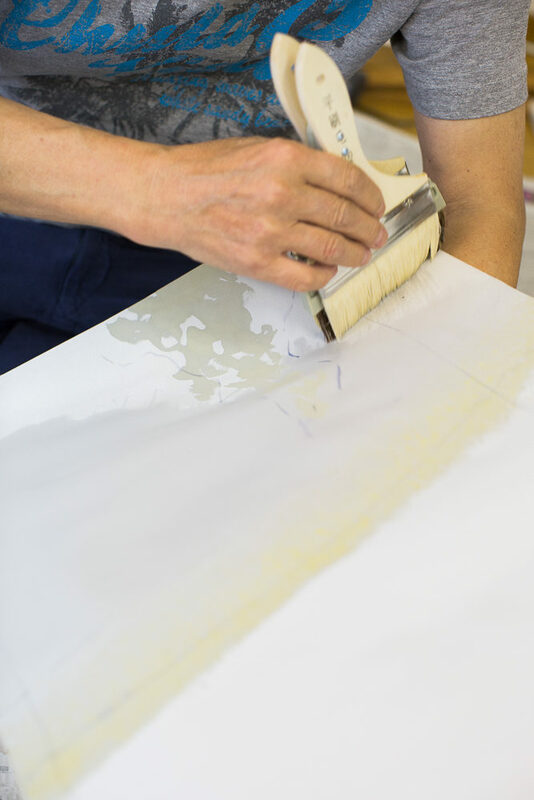 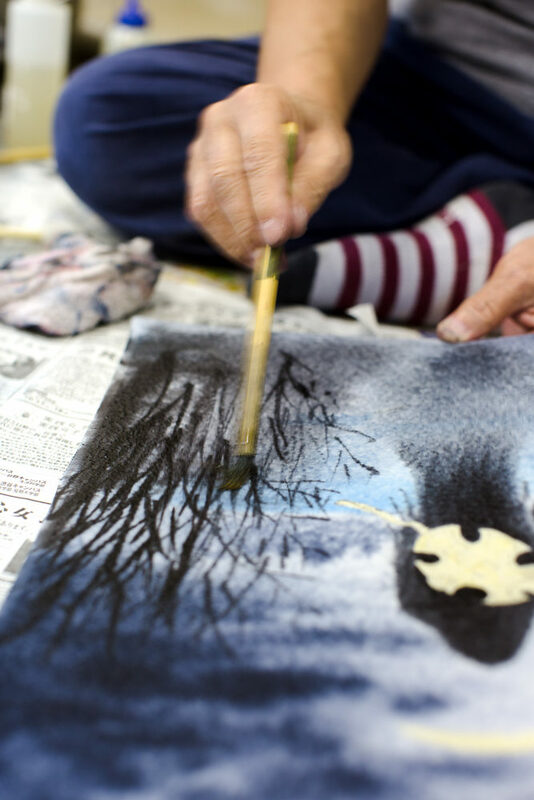 Fabric is wetted by Gojiru, and the design is drawn directly by paintbrush or wide brush which is soaked in a dye. 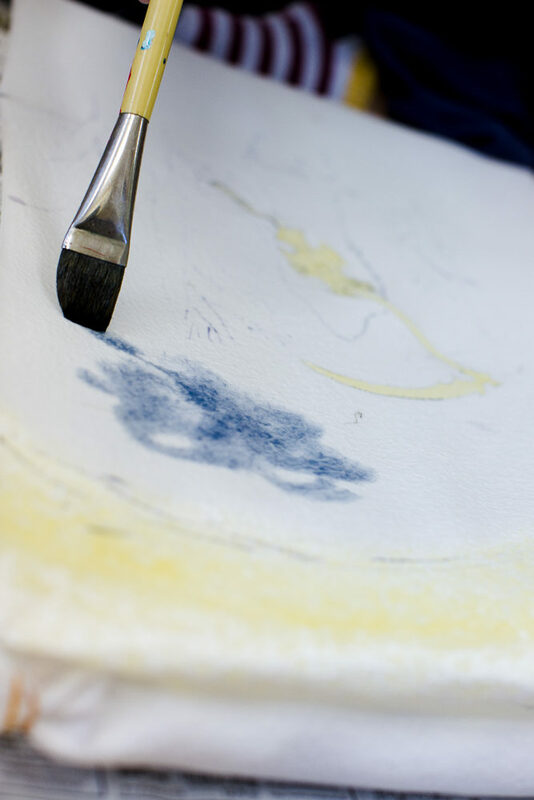 To take out the shade according to the permeation condition of the dye, it's drawn up quickly at a stroke. 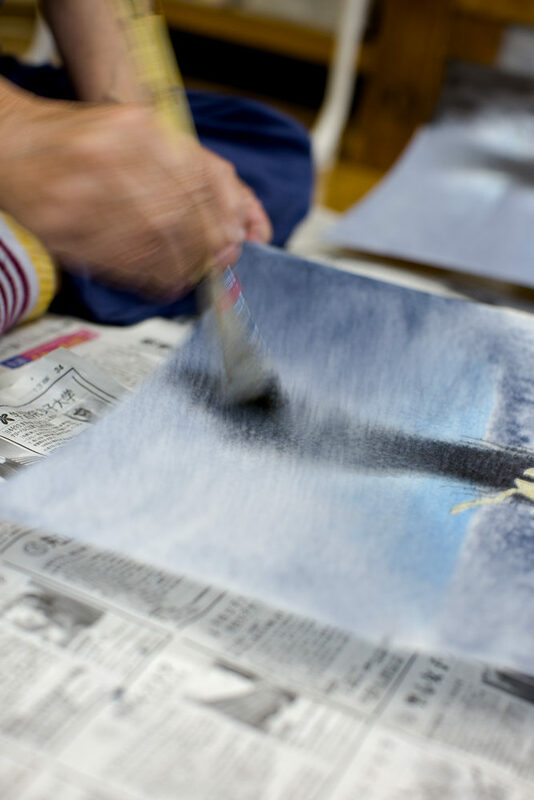 The shading part which isn't in a sketch is the point of the capacity of the craftsman.